“Living the Dream!” in the Caribbean. 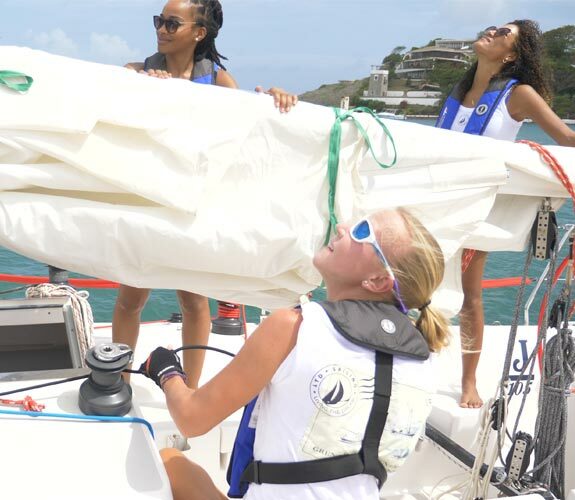 Check out our prices to learn to sail or advance your sailing skills. Book a group of three and receive a 10% discount! Book a group of four or more and receive a 15% discount! Provisioning is included for all breakfasts, lunches, snacks, and all but three dinners which we will enjoy on shore. We'll do our best to accommodate any dietary requests you may have – just let us know what we can do for you. 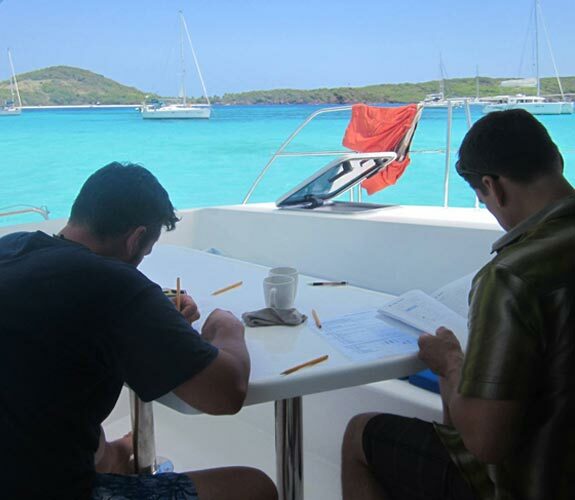 Private classes and private instruction on your yacht available upon request. Please call us at 473-457-3240 or e-mail [email protected].com to check availability. We'll be happy to place a provisional hold for you and send you our online registration form. Complete the online registration form as well as submit your 50% deposit to secure your place in the class. Cancel 90 days or more before the class start for a FULL REFUND less $200 per student cancelation fee. Upon receipt of your booking form and initial deposit, we'll send you a confirmation email with information on your course. The balance of your tuition is due 90 days prior to the start of your course. We do our best to accommodate you. We want to get you sailing!